You are here: Home » Blog » What are HB 5439 and HB 5440? 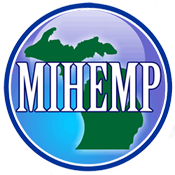 Currently on Governor Rick Snyder’s desk for signing, HB 5439 would allow the research of Industrial Hemp to be done by the Michigan Agriculture Department and “institutions of higher learning”. Also awaiting approval, HB 5440 removes Industrial Hemp from the definition of marijuana under state law. The research is to study what variates are best suited for the Michigan soil, climate, soil remediation, and other factors. Introduced into the legislature by Republicans and supported by Democrats, the bills have a good chance of passing. To express your opinion and help the effort, go here. ← Tell Governor to Sign Hemp Bills Into Law!